Cory Baker is the Editor-in-Chief of the Journal of Business, Entrepreneurship and the Law. JBEL is Pepperdine Law’s newest journal, which combines a traditional print journal with a dynamic online forum to foster a sophisticated interdisciplinary exploration of the legal issues pertaining to business and entrepreneurship. What do you know about specialty law reviews? Are you an author crafting your law review submission strategy, and still wondering whether or not you should submit to a specialty law journal? Or are you a prospective journal editor wondering whether joining a specialty or general law review would be a better fit for you? We wondered all of these things, and we wanted to know: what is it that’s special about specialty law journals? So we talked with Cory Baker, the Editor-in-Chief of the Journal of Business, Entrepreneurship and the Law (JBEL), a Pepperdine Law specialty journal, to get his perspective on the benefits of specialty law reviews for editors and authors. Read our interview below to see what we learned! When it comes to law review submissions, sometimes authors have a hard time deciding whether to publish in a general law review or a specialty journal. What insight would you offer an author in this position? Specialty journals offer a way for authors to collaborate with other authors within a specific legal or academic field. For instance, JBEL - like many specialty journals - tries to capture the connections between the law and its respective “specialty;” with us it’s law and business. We pair articles in a way that allows readers to re-think business law, and explore the many ways that the law fits into today’s business contexts. Specialty journals publish a variety of article topics, relating to a more general field of study (i.e. business, social science, history, or hard science). Whether authors seek to publish general legal topics, or dig deep into a specific business idea, specialty journals offer various avenues for authors to contribute to a specific field of study. Specialty journals offer expertise from editorial staff who understand your field, and can cater to the specific needs of your article, and how it relates to the other “hot topics” in the field of law. Specialty journals function the same way that any traditional law review would, but specialty journals remove one component from the equation; that is, “tradition.” General law reviews traditionally try to compile topics from all areas of law. Specialty journals, on the other hand, don’t adhere to any one traditional model for their publications, which in turn allows their student, academic and professional authors to consider topics that are innovative, modern and forthcoming. You mentioned that a specialty journal’s editorial staff can cater to the unique needs of authors because they have in-depth of knowledge in a specific field. Can you explain how journal staff gain this kind of knowledge? The training that student editors receive is primarily the same whether they are on a specialty journal or a general law review. The training received in regards to a specific subject area is in part done through the research that each junior staffer conducts to write his or her own article, note or comment. When placed on a specialty journal, each junior staff has specific guidelines when researching and writing an article. With such guidelines, students learn what makes a great article, and what goes into writing an article that is publishing-material. For example, JBEL‘s junior staff each spend their first year writing on various business topics; with no two-articles being the same. Our junior staffers end the year with a breadth of research and knowledge on a very niche-field of business law. By the time our junior staffers transition into senior staff, our Editorial Board is operated by individuals with a keen sense of the the law, and a sharp-eye for articles that will fit into these same standards. Do you have any advice for students who are considering joining a specialty journal? Specialty journals allow you to write about a specific topic that will be of interest to you. Spending the year writing on a topic under a specific umbrella will allow you to dig deeper into the issues surrounding your topic. Specialty journals allow student authors to explore unique legal matters and form a note or comment that will be cutting-edge and innovative. A specialty journal allows junior staff to conduct very detailed research for a “single” topic, rather than touching on the surface-level topics of general law. Being able to explain a specific issue in a general legal contexts allows the student-writer to become an expert in one area of law; perhaps on a topic that many of your law school colleagues have never heard of, or one that a law school course will only briefly touch on. Specialty journals allow students to think outside of the box, often gaining access to research and experts in a very niche-field. For example, specialty journals often provide access to professors who are experts in a certain field of study, or subject of law. Students are often encouraged to contact these professors on an individual basis to get an insider’s perspective on the topic they are writing about. Meeting with experts in a specific field is helpful in landing a job because students-authors can focus on what is discussed most in a certain type of law. When I was conducting my research, I wanted to learn more about my topic from the experts. Instead of starting my research online, I contacted a Pepperdine Alumni who was willing to meet with me to discuss my topic in more detail. After a long discussion about my article topic, I left with a different perspective on my topic, as well as an opportunity to work directly in the field. As a student author, this is your chance to have fun with a topic; one that will open up doors to legal discussions you may not have found yourself having. While the topic of your student article begins with academic prestige, keep in mind that you will be writing on this topic for the entire year. So, if you decide to join a specialty journal, make sure to find a topic that is of interest to you, and one that you enjoy exploring; you may just find yourself researching a topic that you may want to make a career out of. Are you an editor at a specialty journal or an author with a totally different perspective? 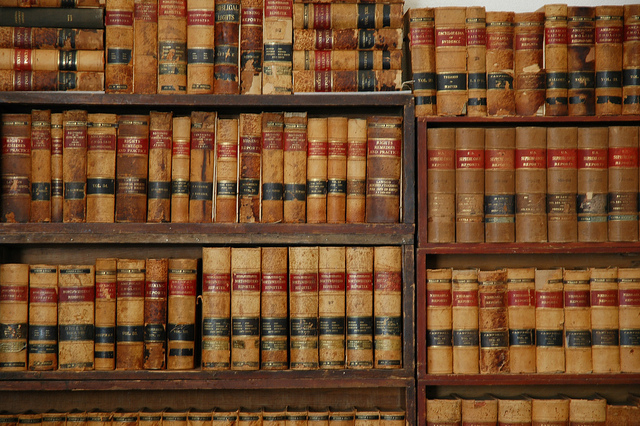 We’d love to hear what you think about specialty law publications! Let us know by tweeting @scholasticaLR or emailing us at so we can share your take!